When we say Outdoor Banners we are actually talking about many different types of banners. 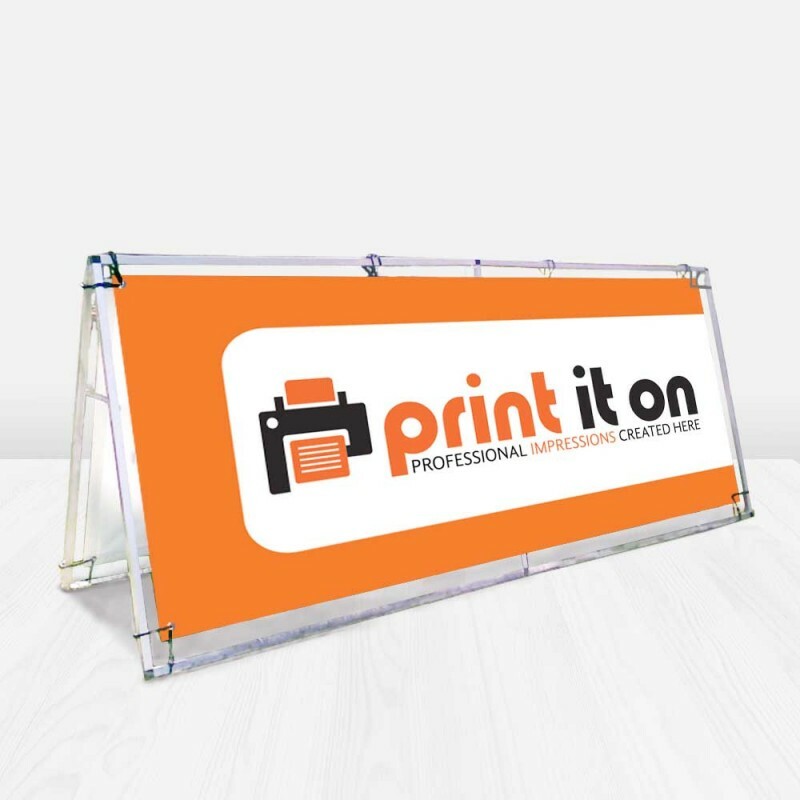 Print It On guarantees high quality products and professional printing of outdoor vinyl banners, mesh banners, street pole banners, flag banners and many more. Give us a call at 204-899-3350 and let us help you decide what is it exactly that you're looking for. I got my business cards printed with Print It On and they came out AMAZING! The graphic designer was able to change the old design I had and create something new and interesting. When I got the printed business cards they looked even better than on the computer screen. I still get compliments every time I give someone my business cards. Thank you! I've printed all of my business promotional products with Print It On and I know it was a good decision. Their excellent customer service and high quality print products are a great combination!